A Health Coach is your authority on wellness plus an encouraging mentor, who motivates clients to make positive health choices. Health Coaches empower clients to achieve their health and fitness goals through adjustments in lifestyle and behavior. Let Knoxville’s premier health coaches educate and support you in your journey! Totality Living Well, as your health coach, will help you navigate the ins and outs of changing to a healthy lifestyle. Changing daily habits is not easy, but with a positive support system creating healthy daily habits is within your reach. With our Personal Training programs based right here in Knoxville, Tennessee, we are committed to coaching you to YOUR Ultimate Level of Health. 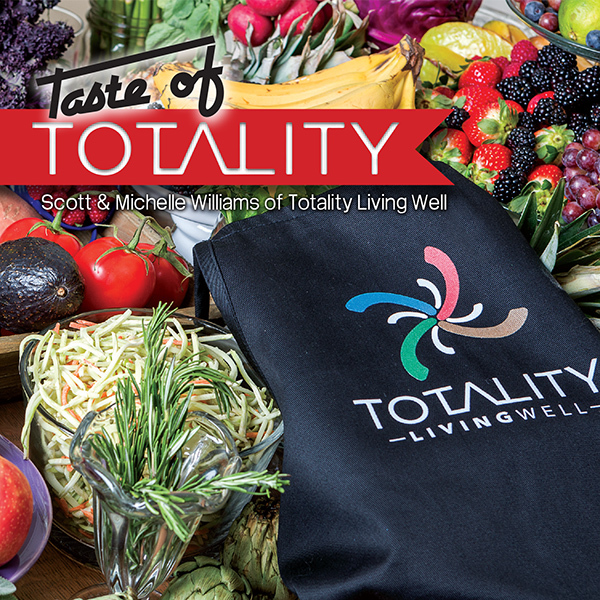 The Totality Living Well Nutrition Program is unlike other nutrition programs that have been promoted based on extreme caloric deprivation, eliminating entire food groups altogether or sacrificing a permanently lean body for constant excessive hunger. With a vast array of fitness programs on the market today, choosing one that adequately fits lifestyle, budget, time constraints, personal interests and physical skills/limitations can be a frustrating challenge. Our skin is the largest organ of the human body and we typically underestimate the importance of what we put on it or the chemicals we surround ourselves with in our homes daily. Busy schedules, immediate gratification, demanding jobs, spiritual absence and financial strain are some of the culprits that can cause us to teeter off a place of balance. Through Personal Training and Customized Health Coaching We Can Guide You To The Person You Want To Be.